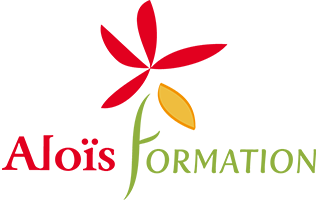 Thanks to the introduction of Fwad Hasnaoui* , the Parliament of the French Living Abroad** has acknowledged the initiative and innovation spirit of ALOÏS, a public health not-for-profit. While telemedicine can contribute to the diagnosis of cognitive disorders, it can also offer cost-effective, human and collaborative solutions to a critical yet little-known public health issue. Today on the planet, there are 841 million people aged 60 and plus. By 2050 this figure is expected to rise up to 2 billion. For the first time in history, the part of the senior population will exceed the number of children aged 15 and less. Along with the aging of the global population, society will be very soon faced with a growing number of Alzheimer, or Alzheimer-related conditions. In France only, the extrapolations of the current surveys predict 1.5 million people affected by the disease in 2030. If measures are not taken today to anticipate this shock, the economic and social balance will not resist it. 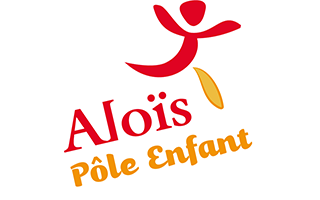 The non-profit ALOÏS was founded in 2004 precisely for this purpose. ALOÏS is a sentinel that works, experiments and implements action to prevent cognitive disorders and facilitate diagnosis. An early diagnosis limits the chances of misdiagnosis and lowers hospital admissions and accidents. More importantly, it also facilitates the transition, for both “helpers” and patients, to adapted life-care facilities at an early stage – a better option than the forced, painful and tiresome moves that very often take place when it’s already far too late. New technologies associated to extreme medical rigour can bring up innovative solutions. A “Memory remote consultation” program has already been implemented in two medical deserts (Highlands of the Vivarais-Lignon in Ardèche/Haute-Loire, a rural area in central France – Sarcelles in Val-d’Oise, a urban area located within the Greater Paris) and in Algeria where a training, technical and care coordination package was successfully experimented. Following up on these three remote consultation experiments, ALOÏS, in the context of its development strategy, was led to consider the situation of the French living abroad. Since these expatriates are very often off the typical medical tracks, they could benefit from a remote memory consultation. This would be a world premiere. 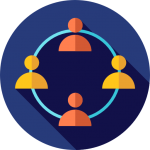 In parallel with the local medical staff, the patient could take advantage of ALOÏS expertise and experience, and obtain a personalized neuropsychological report via a Visio conference from a medical facility or office duly equipped. 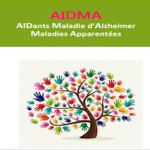 This report, written in French by a practitioner located in France allows for a diagnosis both quick (in terms of time) and early (in term of pathology). This efficient and replicable process was paid tribute to in a unanimous resolution by the Parliament of the French Living Abroad gathered on a plenary assembly on March 9, 2017 at the Ministry of Foreign Affairs. The project aims at offering this service to all French expatriates through a dedicated platform. An ongoing follow-up is offered thanks to the “Calliope” database which was specifically designed to collect and process data related to cognitive disorders patients. This innovative concept is a common sense answer to a critical social issue: how do we guarantee a decent well-being to an aging population, while respecting social and human idiosyncrasies. * Fwad Hasnaoui is a member of the Parliament of the French Living Abroad. He was elected to represent the Maghreb and Egypt riding and he currently lives in Algiers. ** The Parliament of the French Living Abroad represents 2 million French people. The government consults its members on matters related to the French expatriates living conditions and how they are affected by policies concerning them.